Slugmaster is under new ownership! 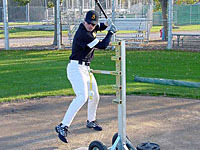 Slugmaster Hitting Stations are the most effective and durable baseball and softball batting practice devices available. 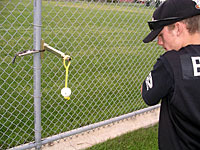 Versatile, compact and easy to use, they are excellent tools for ballplayers at any skill level. 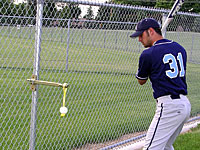 Attatch to any pole or post for an instant hitting station. Use it at the ballpark, at home or anywhere you want to get some hits in. Work the strike zone top-to-bottom, in and out. The most complete workout year round. Indoors or outdoors, teams or individuals. Watch for SlugMaster commercials on ESPN2 and Fox Sports with special pricing.